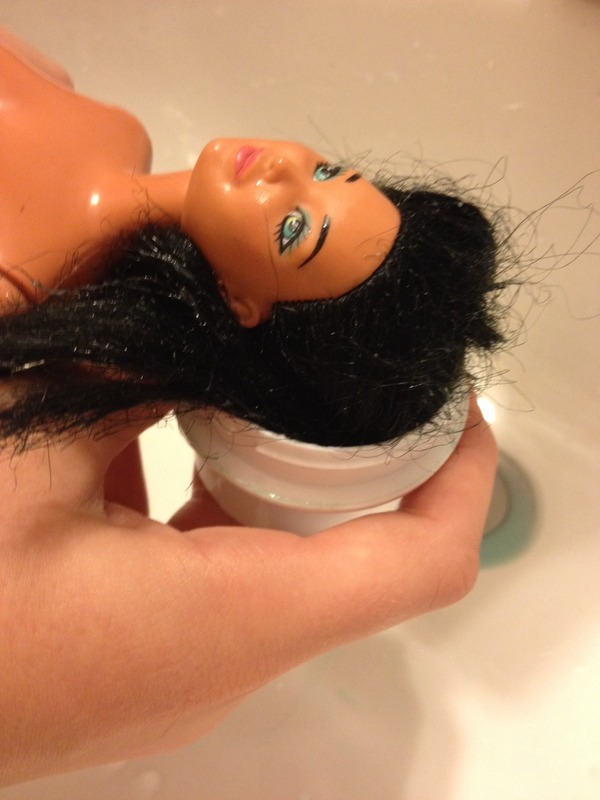 Mix any type of fabric softener and water together to make the Barbie conditioner. 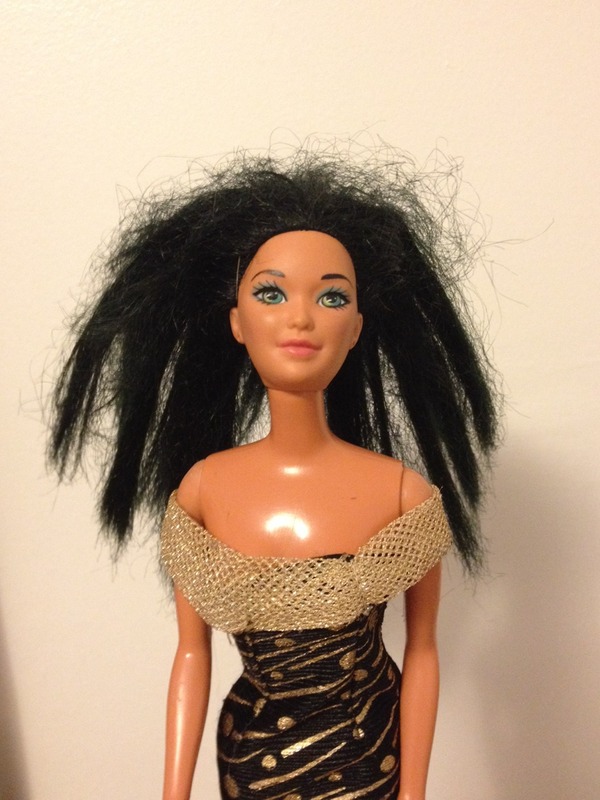 Get a barbie with messy/tangly hair. 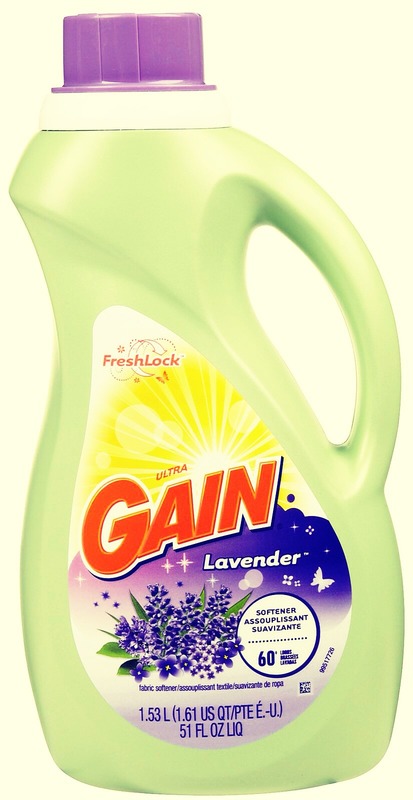 Drip hair into half fabric softener/ water mixture. 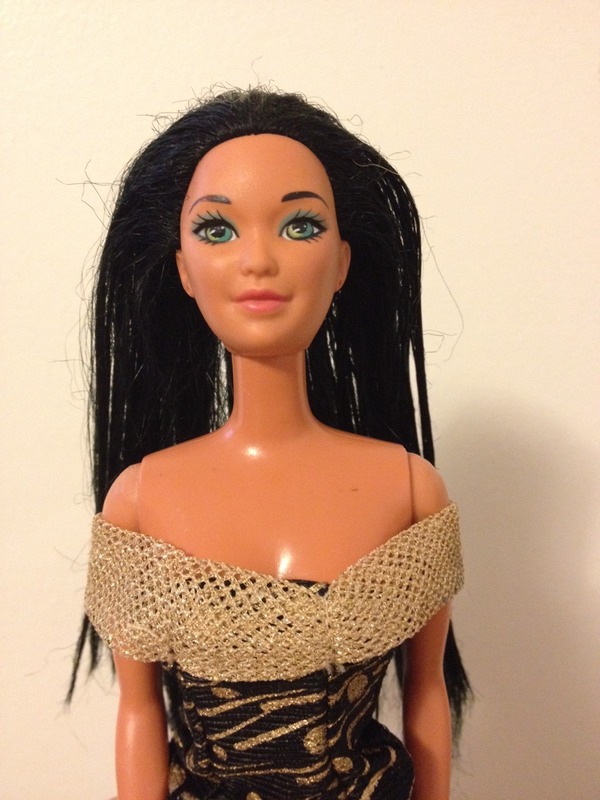 Then brush the tangles out of the dolls hair. 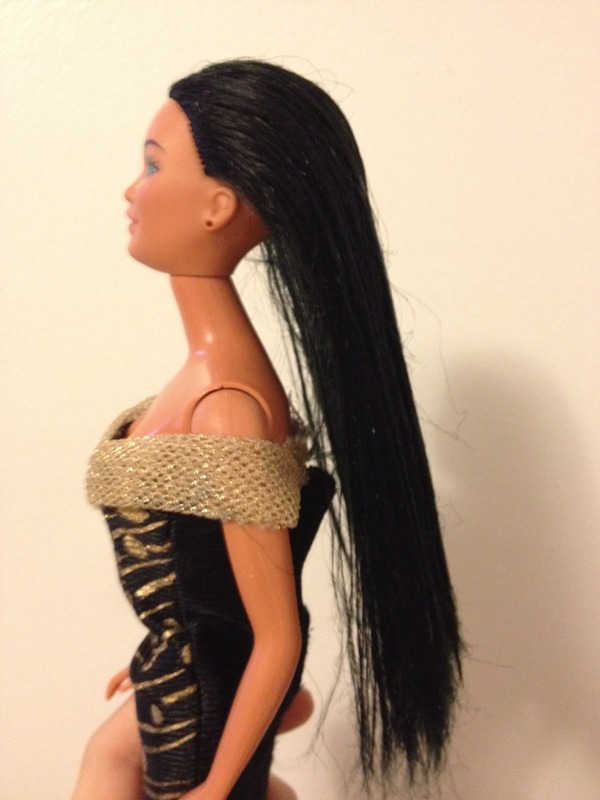 When done, wipe down the barbie and her hair so its not soaked.